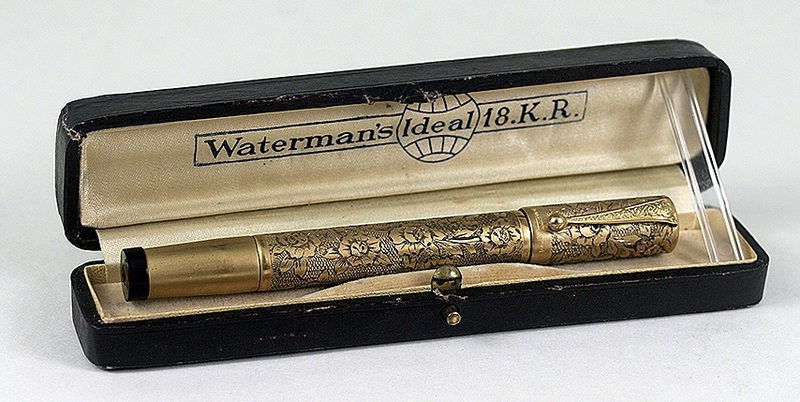 Check out Pen #4: Waterman didn’t only make pens with ebonite ripples and swirls. The Waterman 42 Continental Overlay is an 18K brushed gold-filled pen with a hand engraved “Roses on Vines” pattern on a barley background. It’s an eyedropper-filler perfectly complemented with a fine, extra-flexible nib. Better yet? This stunning beauty comes with its original box with just a touch of wear on the bottom of the barrel from cap posting. Having been around since 1917, it’s looking really wonderful. 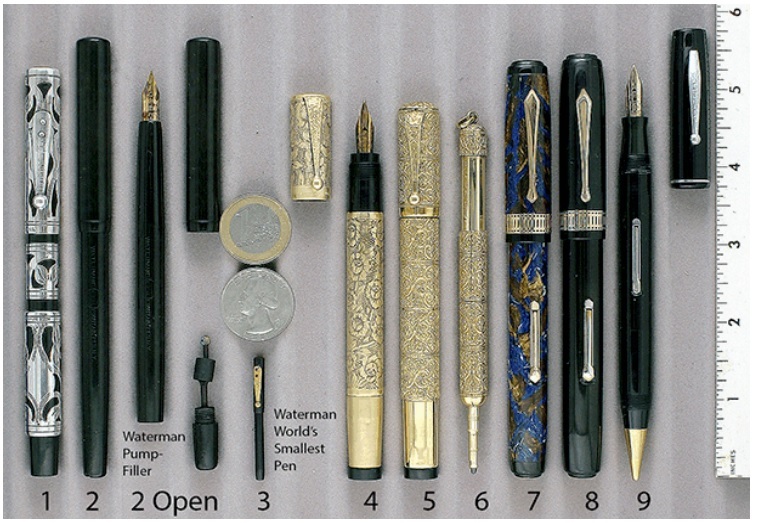 If you missed it last time, by the way, that tiny little pen is “World’s Smallest Pen”, also a Waterman. I wrote a little blurb about it recently! This entry was posted in Vintage Pens and tagged Catalog, Fountain Pens, Go Pens, GoPens, Vintage Fountain Pen, Vintage Fountain Pens, Vintage Pen, Vintage Pens. Bookmark the permalink. Follow any comments here with the RSS feed for this post. Post a comment or leave a trackback: Trackback URL.